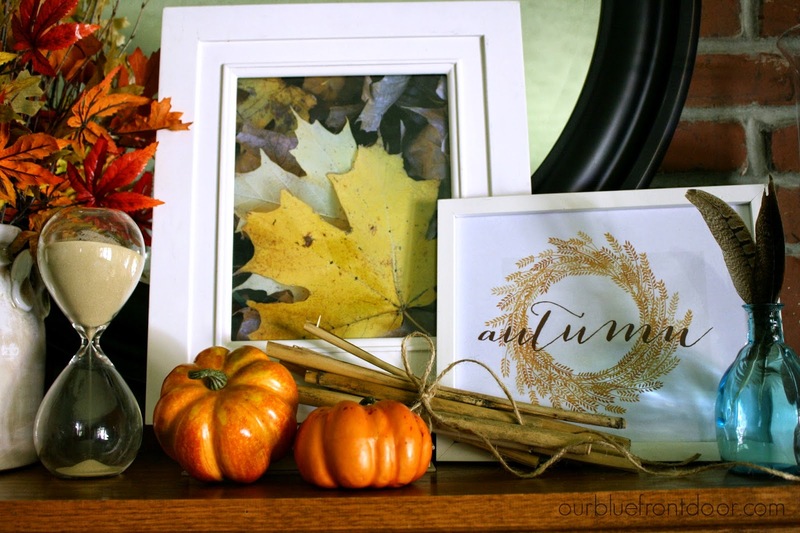 Happy October my friends, family, and fellow bloggers! hard work to blog. I have an appreciation for those of you who blog FULL time. already here I stalked Pinterest for ideas and came up with some creative ideas of my own. The only thing I spent any money on were the feathers and they were $3.00. The autumn art I found on Pinterest and is found here. Easy art, print it and frame it. The sticks are from my Mom's garden. They are the stems of pampus grass that we cut down together. Kinda sentimental to me. Now I decorate with them. Texture! The leaf in the picture is from our back yard. I took the picture and framed it. Are you seeing a trend here? I'm really not lazy, it just needs to be simple. Another easy, peasy idea are the hurricane looking candle holders. They're from the Dollar Tree friends. The top vase is attached to the candle holder underneath it. A $4.00 investment and they can be used anywhere in your home. 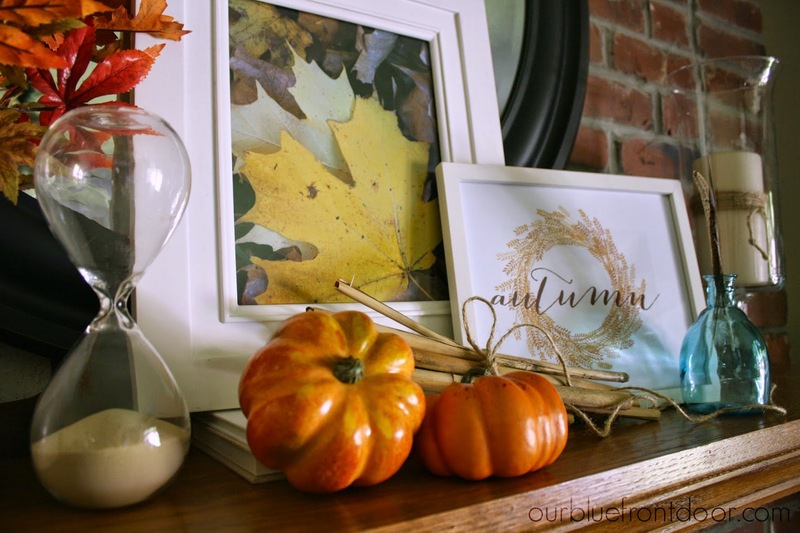 My Fall mantel came together quickly and I think it turned out great. decorate it and leave it alone? A blog post!!! 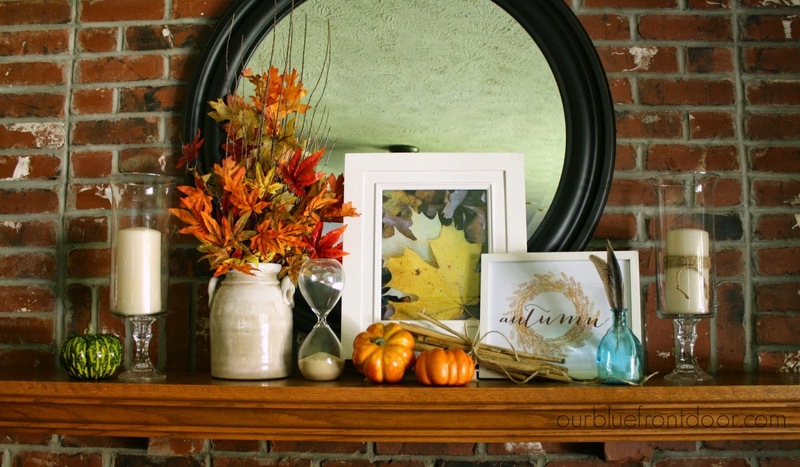 I love your mantel and hate decorating mine. And easy is the best!